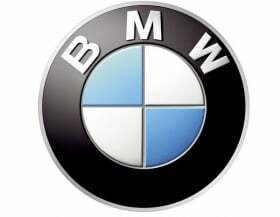 CAPE TOWN (Bloomberg) – BMW AG expects “significant” sales increases in the first half of this year because of demand for new models, CFO Friedrich Eichiner said. BMW, which also makes Mini and Rolls-Royce models, sold about 1.46 million vehicles last year and is targeting sales of more than 1.5 million units this year. Booming demand from China is likely to offset slowing gains in Europe, where several countries have been beset by debt crises, he said. Growth in Germany will be about 5 percent to 6 percent, Eichiner said. BMW will spend 400 million euros ($545 million) at a plant in Leipzig, Germany, to add production of an electric city car by 2013. The automaker late last year completed a $750 million expansion of its U.S. factory in Spartanburg, South Carolina, to make room for the revamped X3 SUV. BMW has invested about 500 million euros in the Chinese plant, which will initially be able to produce 75,000 vehicles a year. The plant's capacity is likely to be doubled to 150,000 units at a cost of an additional 500 million euros, and then doubled again to 300,000 -- which should occur within five years, Eichiner said. BMW also plans to increase U.S. capacity. While production is likely to be increased at its German plants, the company is unlikely to open a fifth factory there, Eichiner said.